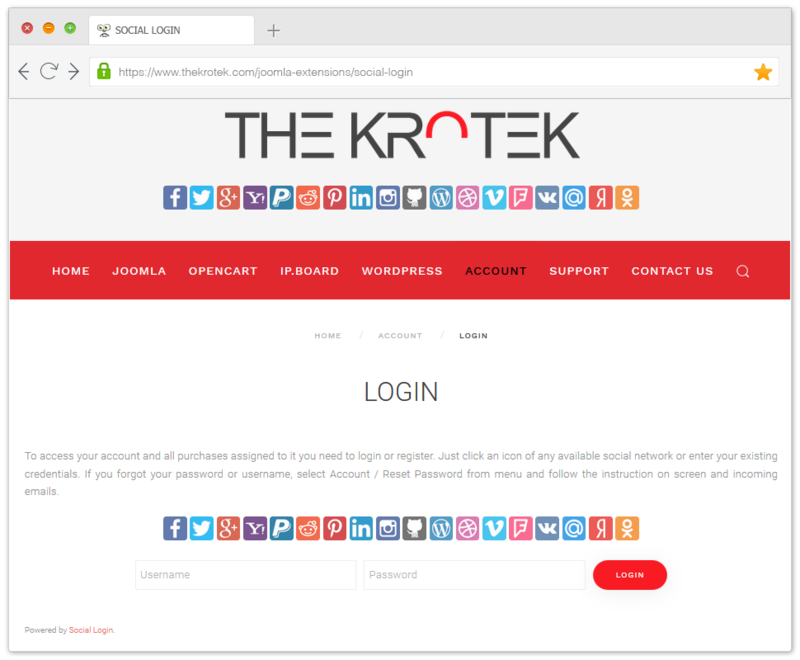 Neat and easy to use component, which allows your users to login with their accounts in different social networks. It has lot of options to suit all your possible needs, including community extensions support and syncing. Available networks: Facebook, Twitter, Google, Yahoo, PayPal, Pinterest, LinkedIn, Instagram, GitHub, WordPress, Foursquare, Reddit, Dribbble, Vimeo, Steam, VKontakte, Mail.ru, Yandex, Odnoklassniki. Not enough? Just send us an email and we will add your network to the list! 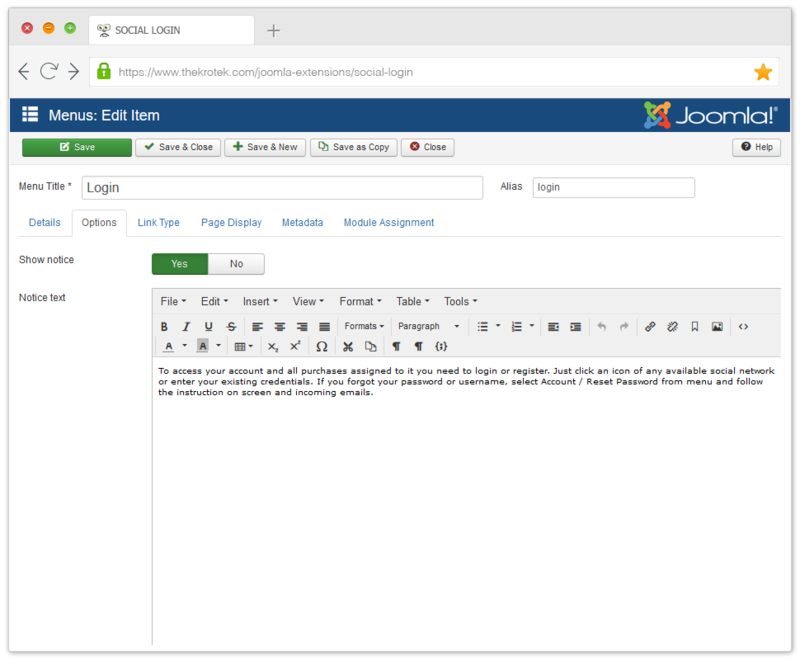 18 social networks to login and merge existing Joomla account with. More can be added by request. No monthly fees. No user limits. Does not depend on any library. It just works the way you expect it to! 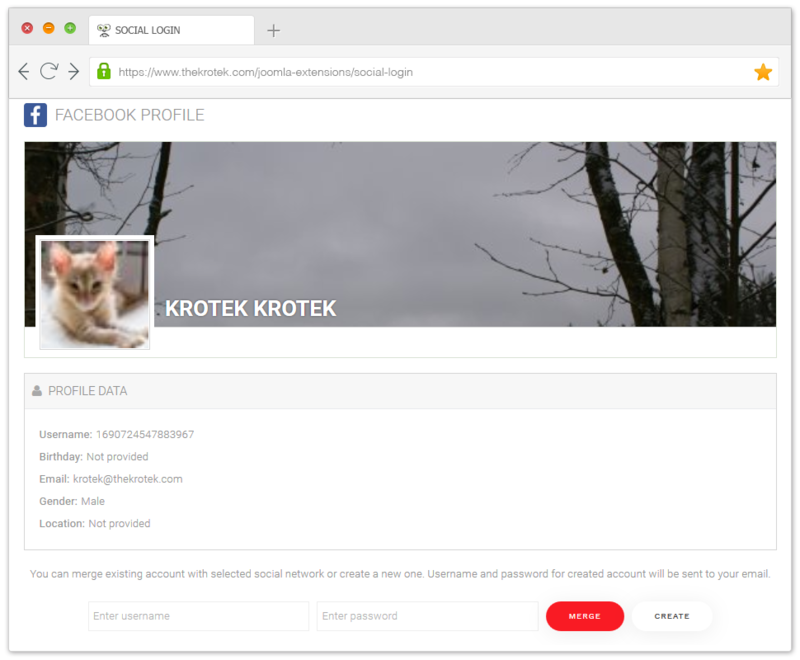 User social connections stored in database, which allows your visitors to quickly login from any location. 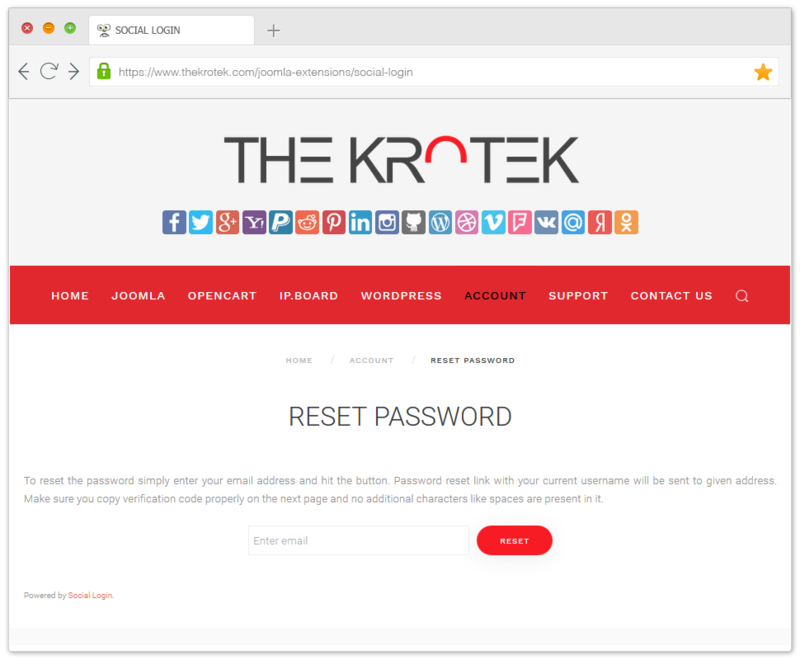 Can completely replace standard registration, reset password and login pages with simplified more user friendly ones. 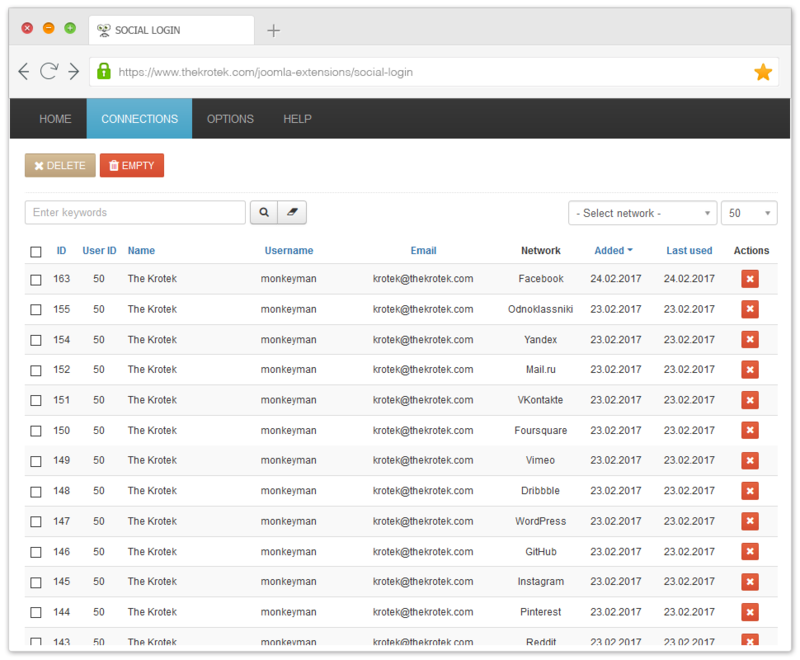 Supports social components like JomSocial, CommunityBuilder, EasySocial, Kunena etc. More can be added by request. Absolutely fault safe from any popup blockers or tabbed windows. 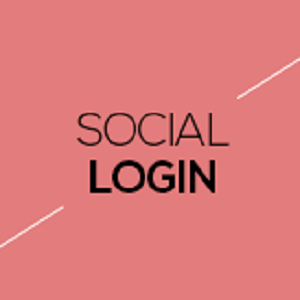 The most stable social login component on the market. 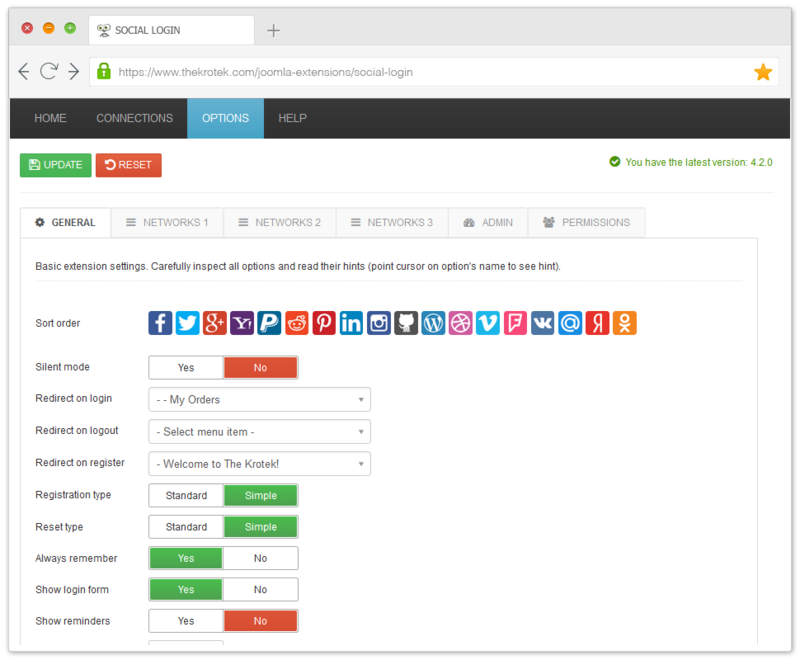 There're lots of extensions like Social Login today, but they often have ridiculous limitations. Usually you're allowed to have only small number of connections for free and the rest is billed monthly. There're other limitations as well, including providers and layout customization. Social Login doesn't have any limitations and can be customized any way you like. It also doesn't depend on any external library and works with every network's API directly, which greatly increases stability and control. Look no further! 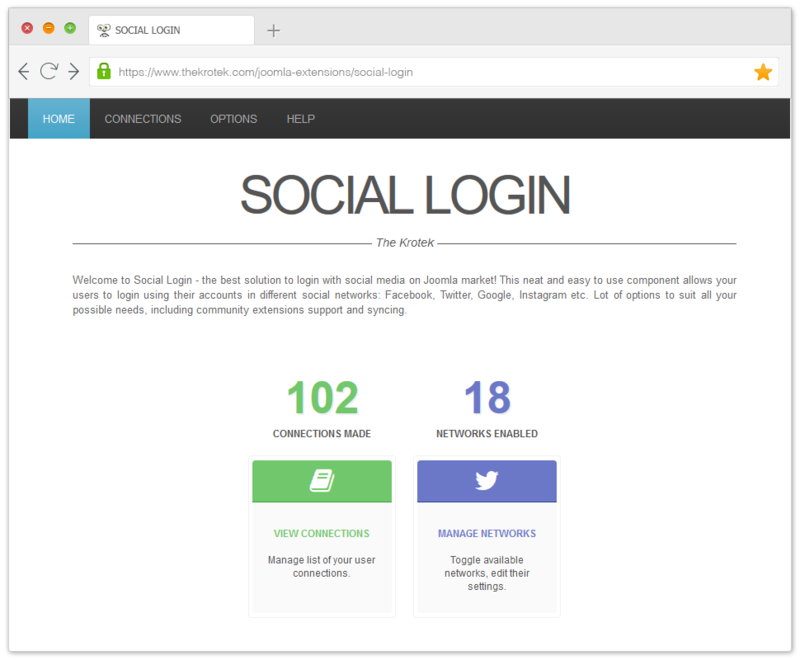 Social Login is the most stable, secure and seamless authorization component on the market!